In-Sook Chappell is known for exposing the harsh reality of Korea through well-structured personal accounts in plays such as P'yonyang and This Isn't Romance. Her latest one-act play is no exception. 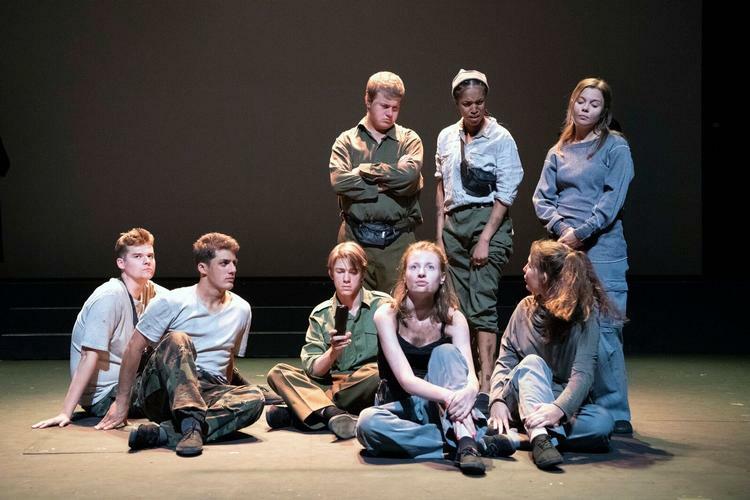 The sharp account of nine teenagers escape from North Korea is performed by Highgate- based youth company, Transmission. Nell Hardy's direction ensured that not a second was wasted, allowing the production to match the pace of Chappell's stimulus. Overall, performances were enjoyable, with one specific highlight. Lucy Whelan proved herself as a formidable diverse actress. She embodied multiple roles, demonstrating full commitment to the characterisation of each. However, the piece suffered a lack of subtlety at times. Unnecessarily expressive body language and facial expressions led to emotions being somewhat force-fed to the audience. The heavy subject matter was balanced with the merry subplot establishing a K-Pop group within the collective. This led to dance breaks that made the piece feel stylish, whilst remaining a hard-hitting commentary on the totalitarian Korean regime. Overall, Transmission and In-Sook Chappell have created a fun and exciting production whilst maintaining a politically charged relevancy.